The Republican president spoke Monday in Cleveland, one in a series of Trump-led rallies in key states leading up to Tuesday’s election. Trump called on supporters to back Attorney General Mike DeWine for governor over former federal consumer watchdog Richard Cordray. GOP Senate nominee Jim Renacci (ruh-NAY’-see) and several Republican House members joined Trump in speaking on stage, as did the president’s daughter, Ivanka. Polls indicate Brown should handily win a third term, while the governor’s race is a toss-up. Trump won Ohio in 2016 by 8 percentage points. 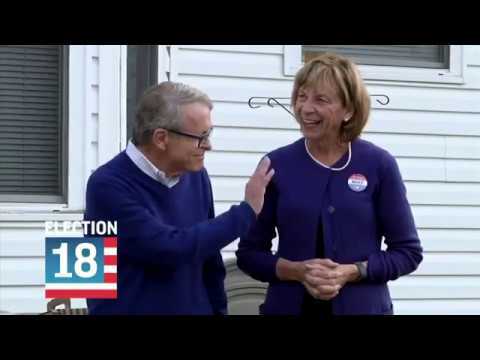 Candidates were expected to spend a last full day of campaigning around Ohio before voters select a new governor Tuesday and decide a U.S. Senate race and some closely contested congressional seats. Voters also will determine whether to reduce sentences for possession of certain drugs, among other measures. Democrat Richard Cordray is locked in a tight gubernatorial race with Republican Ohio Attorney General Mike DeWine. Cordray is a former Ohio attorney general. Democrat U.S. Sen. Sherrod Brown is considered the favorite in his U.S. Senate race with Republican Rep. Jim Renacci (ruh-NAY’-see). A closely contested U.S. House race pits Democrat Danny O’Conner against former GOP state Sen. Troy Balderson in Ohio’s 12th District. Democrat Aftab (AF’-tab) Pureval (PYUR’-vawl) is challenging GOP U.S. Rep. Steve Chabot (SHA’-but) in the 1st District.